Testing mobile applications is much different than using your computer. They are smaller, so they pose different challenges physically. It is hard to use the devices for as long as a workstation and laptop without feeling fatigue. Also, because they are smaller, it often just takes longer to complete tasks in the application than it would with a regular web app. If you are porting your traditional application to a mobile device, it will probably take longer to test due to physical factors. Try to work with your testing team and be sure to schedule rest time to combat mobile-related physical fatigue. Work with them to identify more ergonomic ways of sitting and interacting with the devices. This is much harder than with our regular workstations and laptops, and it can sneak up on you during an intense release with time pressures. If your tester's fingers are too sore to test another daily build for your new iPhone app, there isn't a lot you can do about it. Plan ahead, factor in more time for testing, and make sure the schedule permits enough rest to avoid mobile burnout. I've been testing iPhone apps a lot lately, and I've found TestLabs to be a wealth of information. If you're just starting out, check out their Top 10 List for iPhone Testing to help get you started on a technical investigation. Anurag Khode outlines using a hoffman box for testing mobile devices in his post on Hoffman Box Testing in BREW. While the post does appear to have some copy and paste fork-lifting from the Hoffman Box Wikipedia entry, it also contains an interesting set of test ideas. Apparently, the main goal of the Hoffman box (or pressure cooker substitute), is to shield mobile devices from their signal in an effort to test signal-fade or signal-loss. 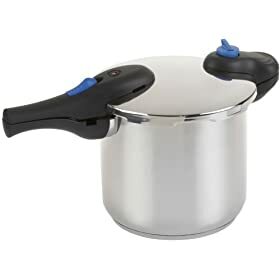 For $24.00, the Wearever 8-Quart Stainless Steel Pressure Cooker officially qualifies as a test tool under $100. Found a cool W3C website for checking if your website is mobile friendly. Just enter the website and go. Well, it's probably not perfect. But what tool is right? It seems like a handy (free) place to start. Give it a try and see what you find. Found an interesting post on a tool for testing small screen rendering in FireFox. The tool is Small Screen Rendering XPI by Disruptive Innovations. It's an extension to the Mozilla Application Suite which allows you to check if a web site renders well on mobile devices.